Concord, North Carolina (October 22, 2018) – The 2018 ARCA Racing Series presented by Menards season concluded over the weekend with the running of the Kansas 150 at Kansas Speedway. Capping off one of the most successful ARCA seasons in team history, Venturini Motorsports returned to America’s Heartland for the series’ finale with a trio of drivers led by Michael Self (No.15 Sinclair Oil Toyota), Leilani Münter (No.20 VeganStrong.com Toyota) and Natalie Decker (No.25 N29 Technologies Toyota). 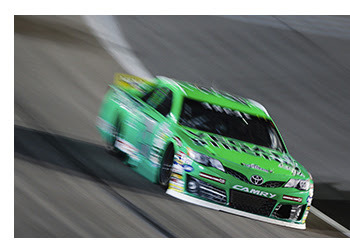 Defending Kansas race winner, Michael Self, turned in another solid performance narrowly missing out on his third victory of the season finishing third in his Sinclair Oil Toyota behind race winner Sheldon Creed and second-place finisher Harrison Burton. Self, who led 15 of the event’s 100 laps, was in position on the final restart of the night but couldn’t hold the advantage during the short dash to the checkered flag. 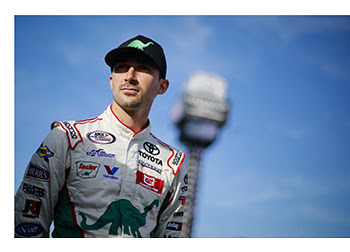 The 27-year old’s Kansas finish was his sixth top-5 effort in ten starts on the year driving for Venturini Motorsports. He finishes the season notching two wins (Daytona and Chicago) along with capturing his first career General Tire pole award at Talladega. His overall effort along with teammates’ Christian Eckes and Chandler Smith behind the wheel of the No.15 helped VMS claim second place in this year’s ARCA Racing Series Team Owner Championship points standings. 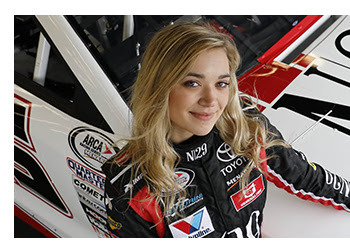 Twenty-one-year-old rookie Natalie Decker, competing in her first full season, turned in a noteworthy performance earning a sixth-place finish at Kansas in her final ARCA start of the year. Decker, arguably the most popular driver among fans on tour, delivered a thrilling late race performance as she took the lead after restarting second after a caution on lap-72. Battling Cory Rohrbaugh and teammate Michael Self to maintain the top spot they went three-wide coming out of turn four. With Rohrbaugh on the inside and unable to hold his line he clipped Decker’s rear quarter panel sending her spinning down the track across the infield grass. Undeterred and with the encouragement of her crew chief – ARCA legend Frank Kimmel on the radio, Decker regained her composure to collect a sixth-place finish – her best career finish on a 1.5-mile track. “I’m really happy to come away with a sixth-place finish,” said Decker. “Mile and half-tracks have been such a struggle for me ever since we started. But having Frank and Frankie (Kimmel) on the radio helping me out was incredible – I learned so much – and coming away with sixth and running those last thirty laps up front felt so good to finally figure out. Decker ends her season with two top-5’s and nine top-10 finishes, securing the seventh spot in ARCA’s driver championship point standings for 2018. Leilani Münter, driving her No.20 VeganStrong.com green machine, turned in her one of her best overall driving performances despite finishing 14th in ARCA’s season finale. Making a bid to top-her career best finish of eighth earned in the season opener at Daytona, Leilani was running seventh on the final restart of the race on lap-85. However, with thirteen laps remaining in the race the No.18 of Riley Herbst got loose and ran up the track tagging the rear quarter panel of Leilani sending her hard into the outside wall coming out of turn-2. With significant damage to her Vegan Strong machine Leilani took it down pit road for repairs. After losing two laps she was able to rejoin the field and end her night with a heartbreaking 14th place finish. With the racing season in the rear view mirror, the ARCA Racing Series looks ahead to the Championship Banquet in Indianapolis on December 9th. Stay tune in the coming weeks for driver announcements for the upcoming 2019 campaign.